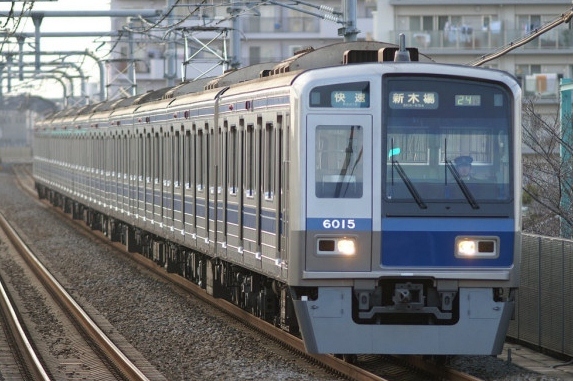 The 6000 Series is a four-door commuter-type electric multiple unit designed by Seibu to become its new standard train design. Seibu's rolling stock was long known for its yellow paint job, but the 6000 Series broke this tradition and adopted an unpainted stainless steel body. 6000 Series trains use a variable frequency drive coupled with AC motors. Early trains use GTO elements but 6112F and all trains built after 6115F use an IGBT element. The fifth batch of trains, sometimes referred to as the 6050 Series, switched to aluminum alloy construction. The sixth batch of trains abandoned the smaller windows between the doors and larger windows. 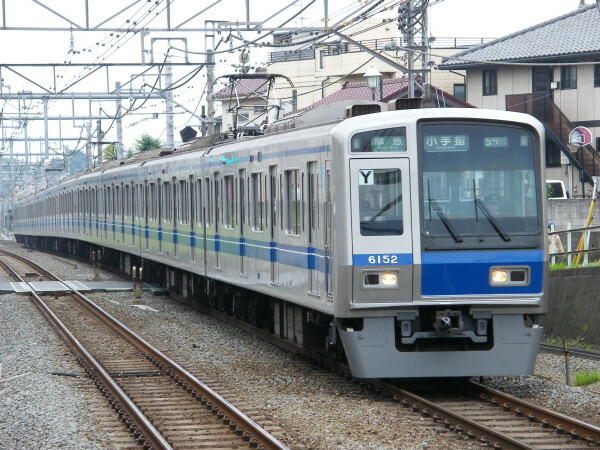 The 6000 Series will be operated on the Tokyu Toyoko Line through the Fukutoshin Line starting in March, 2013.